Using the oven in summer can heat up your kitchen fast and increase your electric bill. 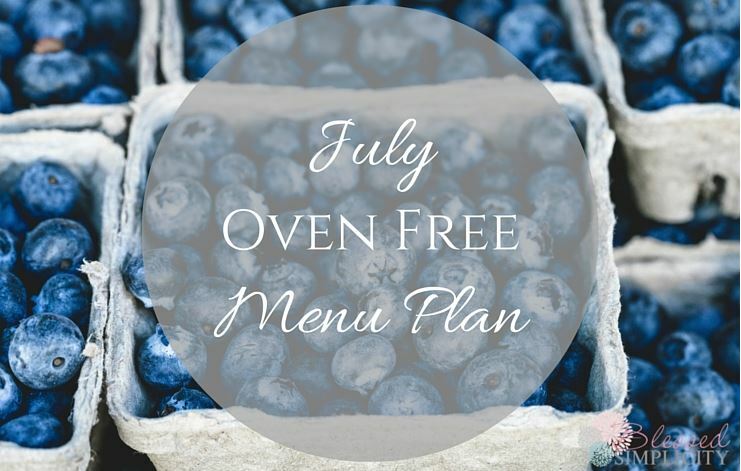 This FREE menu plan gives you recipe ideas that don’t use the oven! When you live in the South like I do, you will do anything to avoid the heat. That includes causing extra heat in your home by using the oven. This menu plan from Blessed Simplicity covers the whole month of July, so you are set for staying cool while making delicious homemade meals. I love all of the slow cooker options! Added Bonus: Here is a FREE cleaning calendar.